Nicki Minaj is going nuclear, blaming Kylie Jenner and her daughter Stormi for Travis Scott‘s victory over her on the charts. Nicki is furious because she believed she would soar to the top of the Billboard Chart with her new album, “Queen” … but Travis captured the #1 spot with his album, “Astroworld,” which came out 2 weeks ago. She came in at #2 this week. 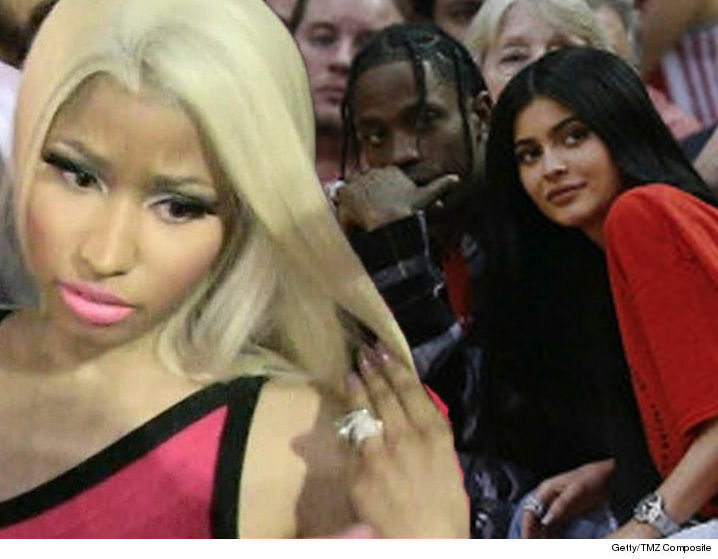 Nicki claims Travis sold more than 50,000 units off Kylie’s post … spiking his overall album sales.